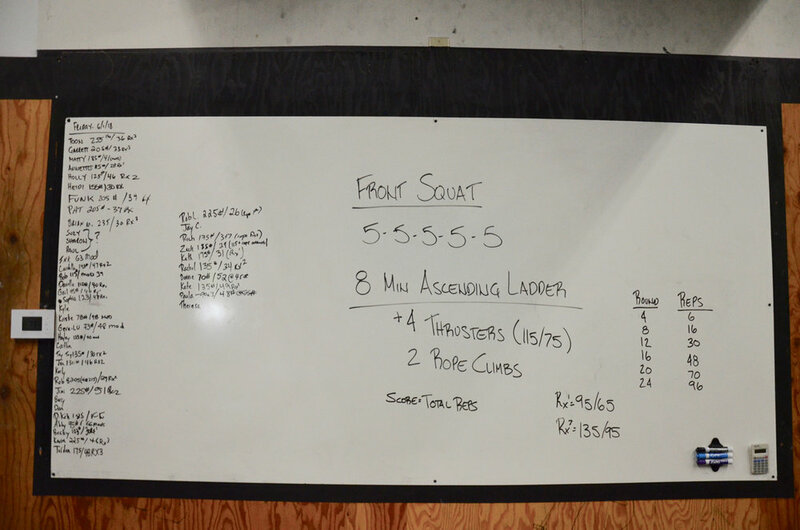 With switching from Pike to PushPress the Strongtown's Finest list is taking a bit longer to tally up. We'll have everything totaled and posted on tomorrow's blog. Sorry for the delay. Kristie showing a great lockout overhead on her Thrusters. 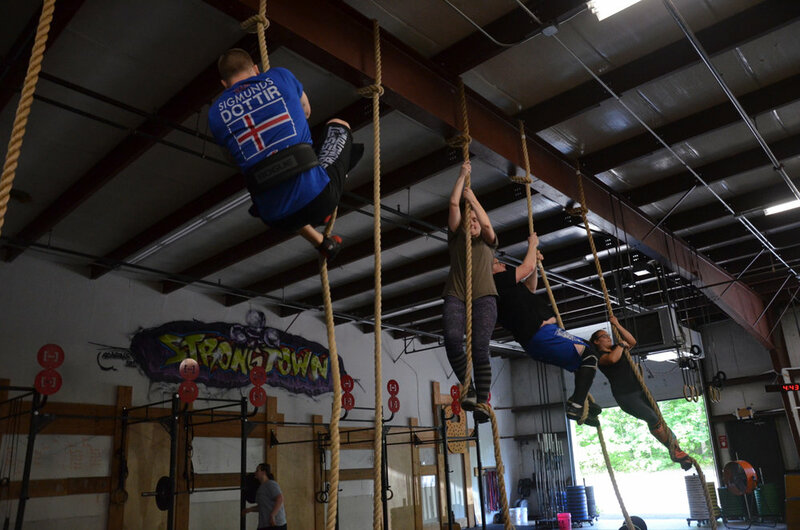 The Friday 5:30pm class during their first set of rope climbs. Hailey mid air on her box jumps at Saturday's 10am class. 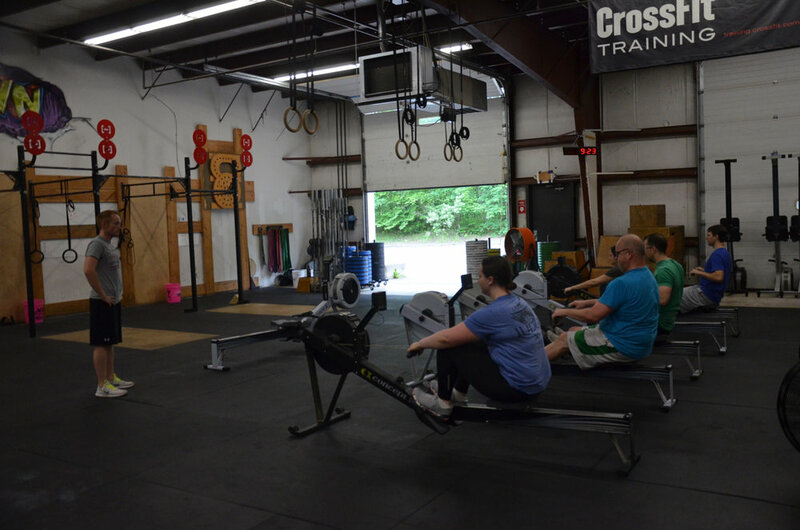 The Sunday skill session for Rowing. Thank you Chris for your knowledge and expertise. 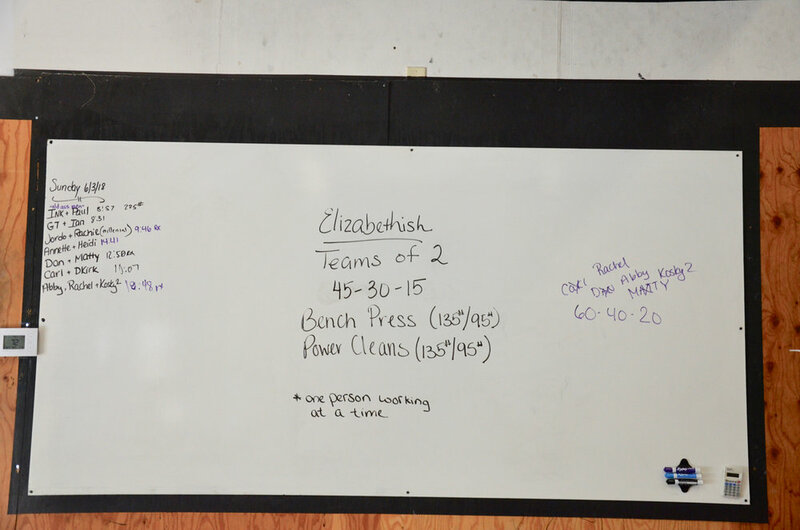 Heidi and Annette during Sunday's partner wod "Elizabethish"